Welcome to the Austin CHILL Weekend. 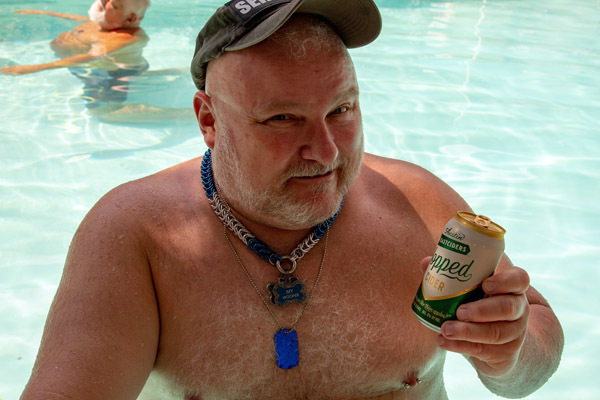 The Lone Star Bears and the Organizing Committee for the Austin CHILL Weekend welcome you to the 7th Annual Austin CHILL Weekend; the beautiful, friendly, and “chill” City Of Austin, Texas; and the Mountain Star Lodge in Lakeway. 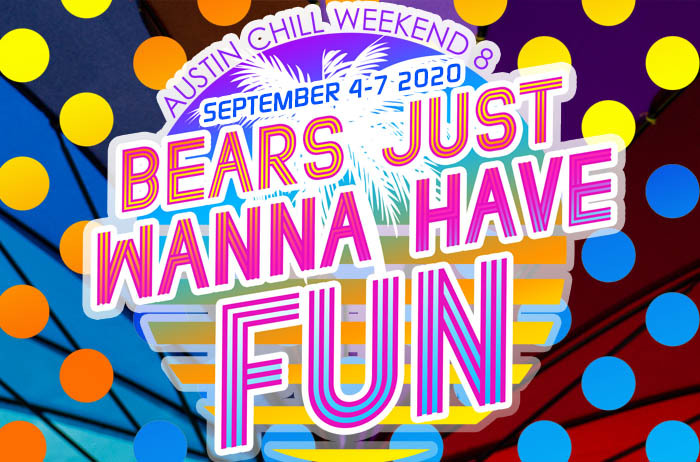 This year we will host over two-hundred members and friends of The Lone Star Bears and our guests from all over Texas and The U.S.A. as well as guests from Canada, The United Kingdom, and Mexico, who are attending Austin CHILL. The Austin CHILL Weekend is a NON-Profit event with the expressed purpose of raising funds to benefit local charities such as: Project Transitions, AIDS Services Of Austin, Saint Vincent De Paul, Capital Area Food Bank, and the Dell Children’s Hospital. We are very thankful to be able to help those who do so much to help others. The Organizing Committee for ACW is grateful for the generosity of our corporate benefactors: Brown-Forman Corporation; Capitol-Wright Beverage Distributing Company; H.E.B. and Central Market; Republic National Distributing Company; Rudy’s Country Store and BBQ; Sidney Frank Importing Company; Tequila 512; Freebirds World Burritos; Moonshine Sweet Tea and Tito’s Handcrafted Vodka. We ask you to support our corporate benefactors and to please purchase and enjoy their products. We couldn’t do it without their kindness, generosity and continued support! Austin is a fast growing, dynamic, fun, laid-back, a little weird, and totally “chill” city in The Heart of Texas. Austin continues to be rated among the TOP TEN U.S. cities in numerous categories. Austin and the Texas Hill Country have much to offer each of you. Be sure to visit The Texas Hill Country and the 6th Street District. Please be safe and enjoy your stay in Austin. Some useful information about things to see and do in Austin, Lakeway, and The Texas Hill Country can be found at www.Austin360.com. We hope y’all enjoy your stay in Austin.